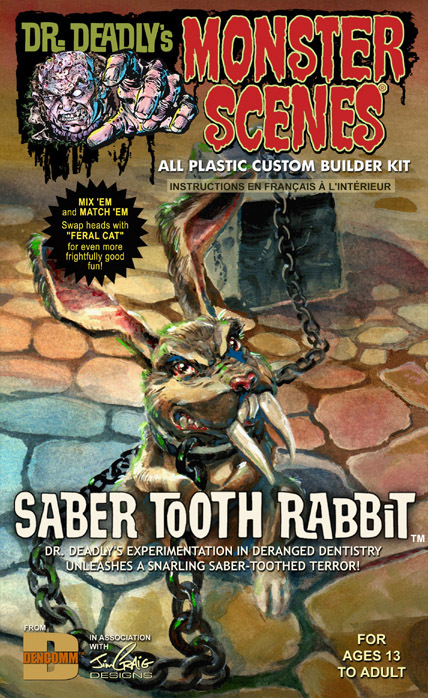 Because you demanded them: the Rabbit, the Cat, & the Skeleton are back – in plastic! Yes, we heard you loud and clear. 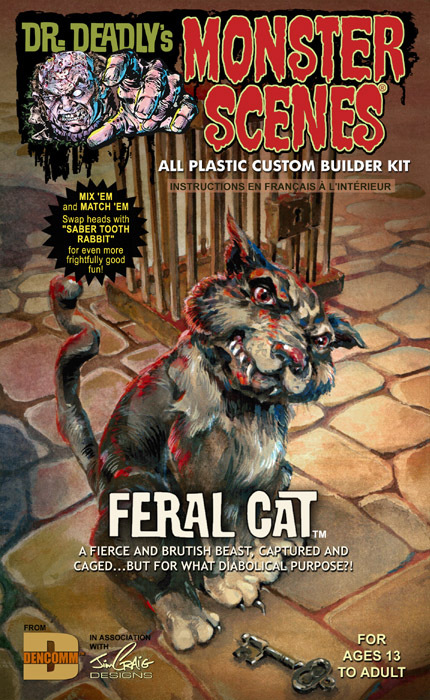 The limited first release of the Monster Scenes Saber Tooth Rabbit, Feral Cat, and Skeleton kits from Dencomm went so quickly that many of you blinked – and missed them. If you did manage to get one of those kits, good for you. If you didn’t, fear not – get ready for the return of these sought-after kits, this time with new parts, new features and in PLASTIC. Naturally, there’s more than an exciting new package to these kits. 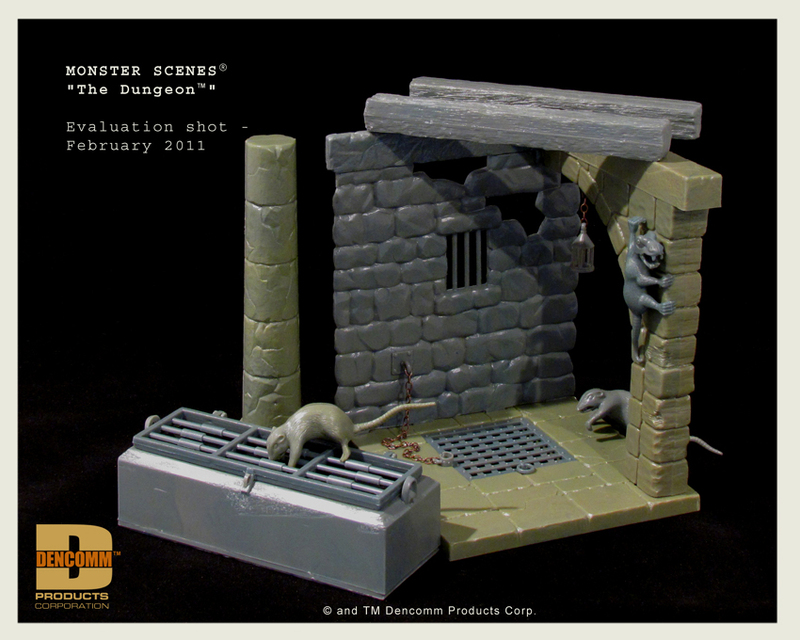 As mentioned, these are newly tooled injection-molded styrene plastic kits (‘cuz they’re what you love, right?). Plus, each kit includes new elements, movable parts, and Mix ‘Em and Match ‘Em features previously not available. Plus, there are extra goodies in each box – and who doesn’t love extra goodies? 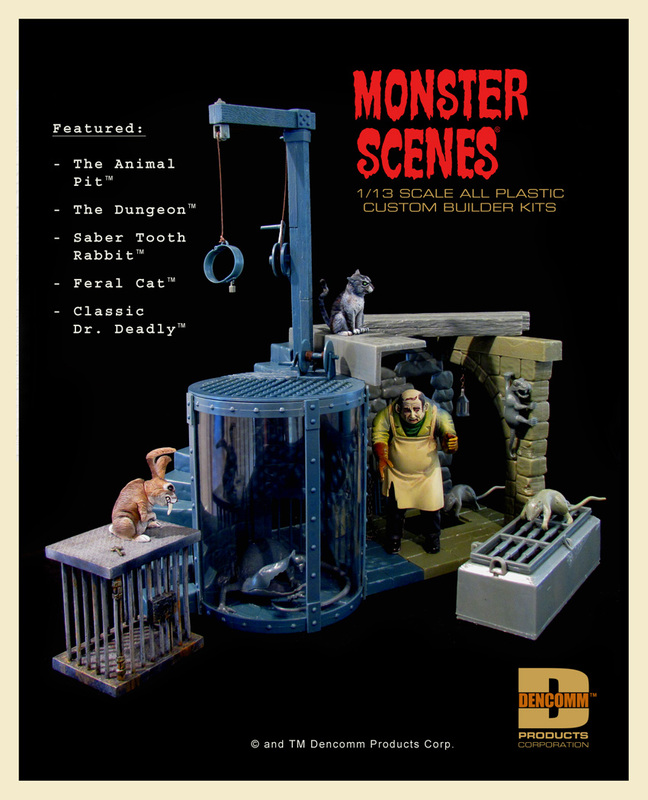 Watch for first photos of the new kits, to be posted to the Monster Scenes Journal blog in the coming days. Oh, and when will these new kits be available for you? They’re arriving this November and will be available from your favorite hobby retailers. Get ready because this is just the beginning! Take a first look at our new series treatment, setting the stage for the devious goings-on that are coming your way. Dr. Deadly – he’s been betrayed, ravaged, and left for dead. Still alive, he continues his unusual researches from the depths of an undisclosed dungeon-like lair. Get ready – we’ll be unveiling our new product designs for this exciting new series soon. 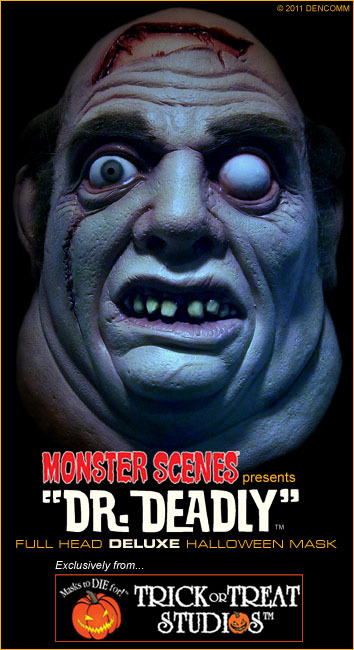 You’re about to enter the weird world of Dr. Deadly’s Monster Scenes…and they’re coming to get you! Here it is – the month to celebrate Halloween haunts! 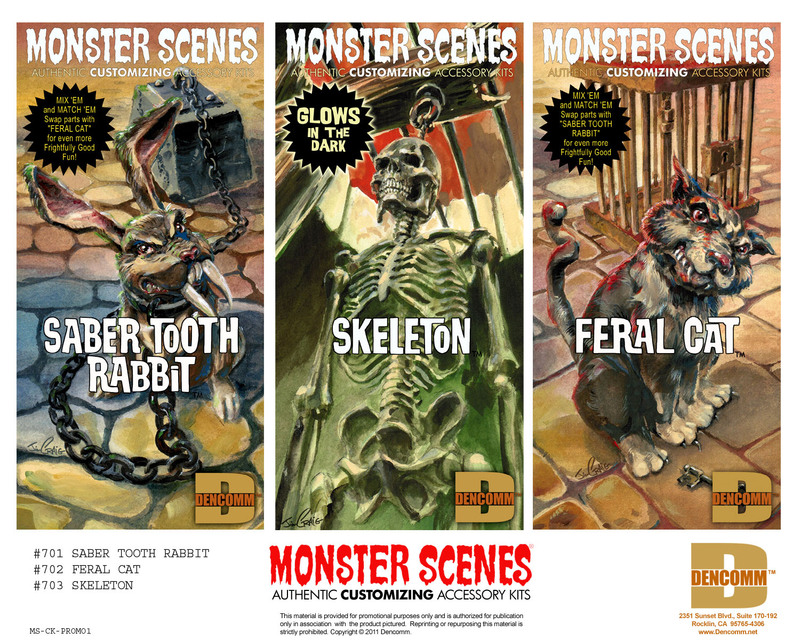 As you recall, in January of this year we unveiled the first-ever Monster Scenes Dr. 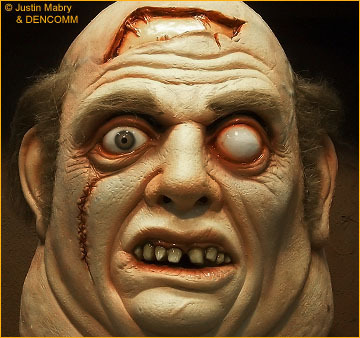 Deadly Deluxe Halloween Mask. It comes to you from Trick or Treat Studios, the fresh new name in over-the-top, high-quality fear gear. 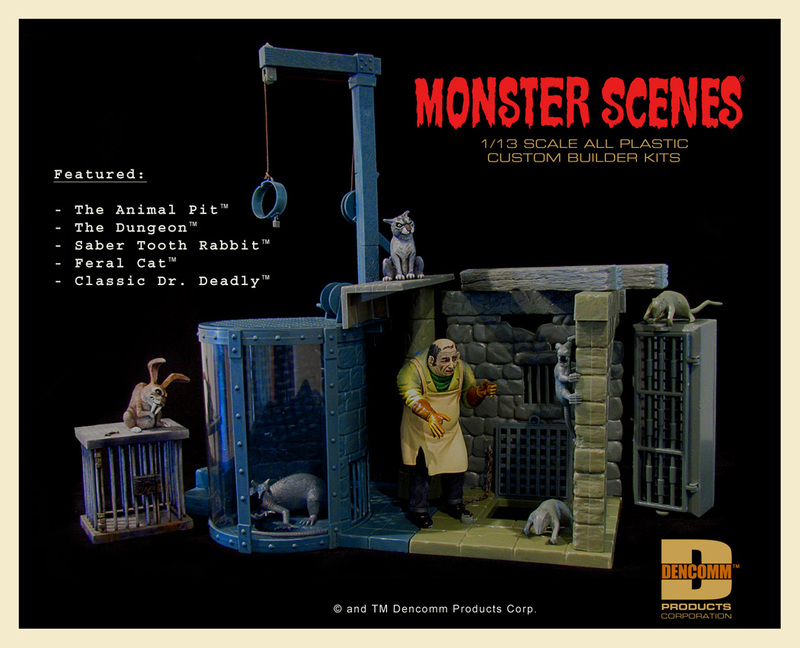 There was no better studio to choose when it came to giving ol’ Doc Deadly his introduction to the Halloween faithful – not to mention providing a first-time full-scale rendition of every modeler’s favorite medical miscreant! Premier sculptor Justin Mabry used our own Jim Craig’s updated look at Deadly and rendered a startlingly life-like mask. 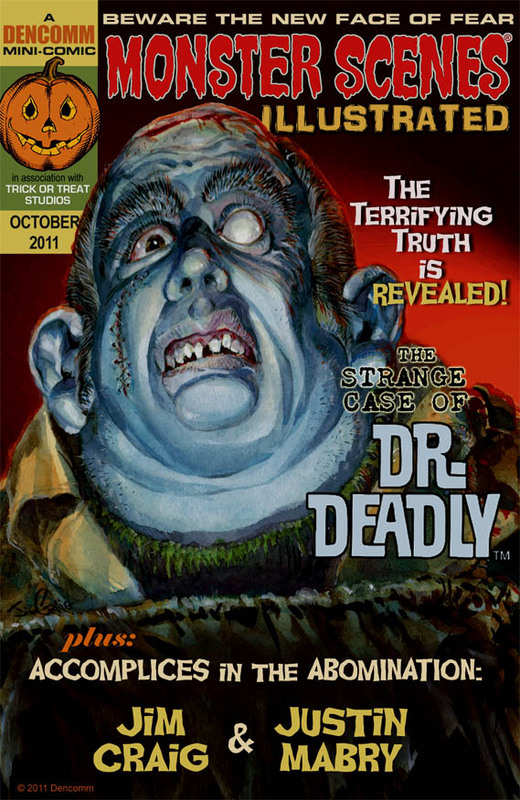 From the oozing gash on his head to the wicked scar and the defunct orb, Dr. Deadly looks so real you’ll literally do a double-take. Mabry captures every detail, both within the sinister sculpt as well as in the startling paint scheme. Another first-ever achievement to note is the exclusive full color mini-comic that c omes with each mask. In it, you’ll discover the origin of Dr. Deadly, never before revealed until now. Naturally, we again turned our favorite artist, Jim Craig, loose on this one. 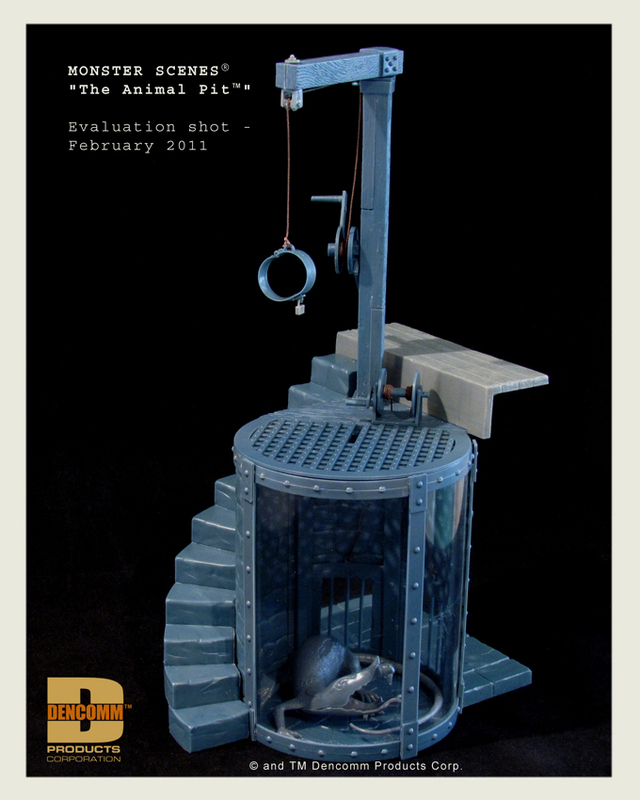 It’s a graphic tale that’s not for the squeamish yet definitely not to be missed. 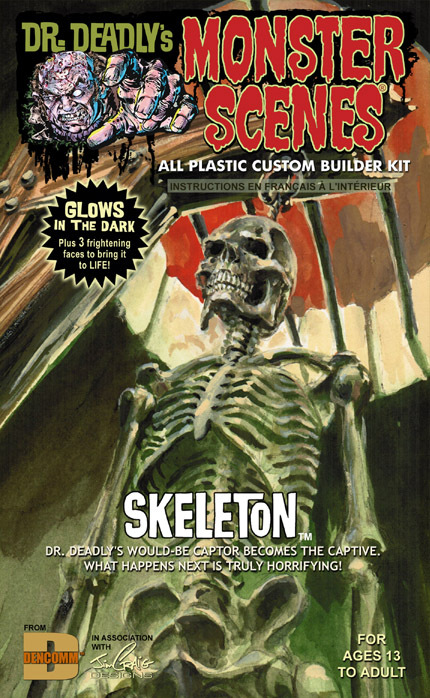 Now this mask with exclusive mini-comic is available to you, just in time for Halloween. Look for it a your favorite Halloween retailers including Halloweentown (Los Angeles, CA), Foy’s Halloween Stores (Fairborn, OH), Fantasy Costumes (Chicago, IL), Halloween Express Stores (nationwide), and Halloween Adventure (nationwide). SPECIAL ONLINE DISCOUNT! Order direct from Trick or Treat Studios’ online store today and save 10% when you use coupon code TOTSPC at checkout (you’ll see the field to enter the code on the Dr. Deadly product detail page, just above where you specify your order quantity). 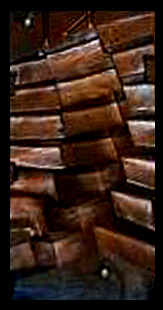 At the time of this writing, Zephro warns that supplies of the Dr. Deadly mask are almost depleted for this season. Use the coupon and order today – otherwise, you might miss out. Now that would be truly horrifying, wouldn’t it?